the first single (and 10-minute-long epic) from his fifth full-length solo effort. This is Vile’s music in a nutshell. 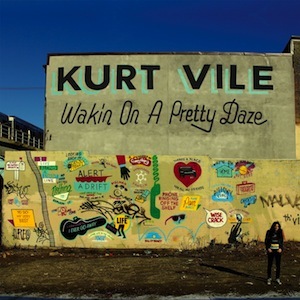 One can always count on Kurt Vile to deliver the delirious, acid-drenched, lo-fi folk he’s known for – and this time around is no exception. Wakin’ On A Pretty Daze is as mellowed-out as ever, but covered in a few extra layers of jangly guitar meandering aimlessly through Vile’s ‘pretty daze.’ He may be fried, but it sure works in his favor.